Do you have ink prints of a loved one’s fingerprint? 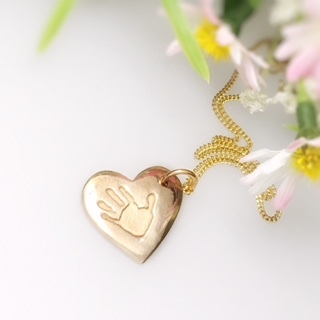 Maybe you prefer this different style of fingerprint charm? 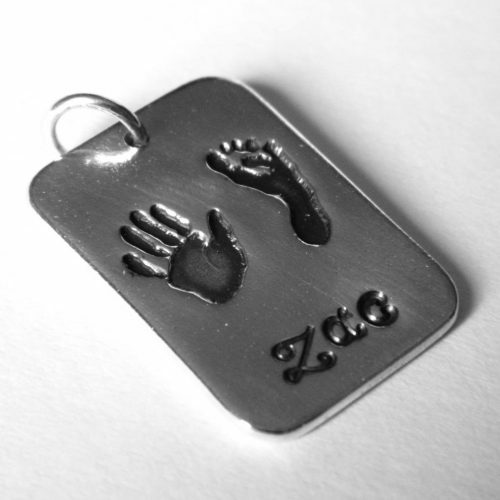 This style of charm is made from an ink print of the fingerprint, not a 3-dimensional putty impression. The effect is quite different. It gives a flatter finish with a more engraved style of appearance. Have your kit sent to you, take the prints and return them in the prepaid envelope. When your charm is made I will return it to you using Royal Mail Special Delivery, fully insured. Medium charms – ideal for necklaces & keyrings. 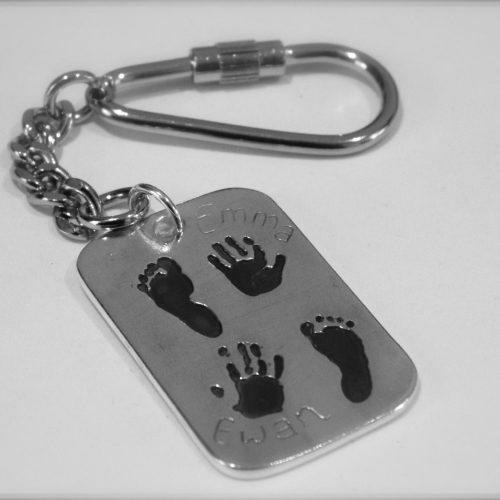 Measuring approx 22-24mm at widest point & it can have one print on the front & a name or word if you choose to. The back can be engraved by hand with a date, date and name or a max of three words (approx 6 digits each). 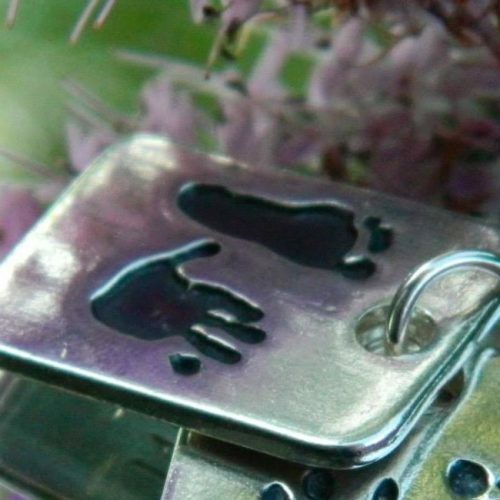 All Impressive Memories Charms are made from sterling silver. 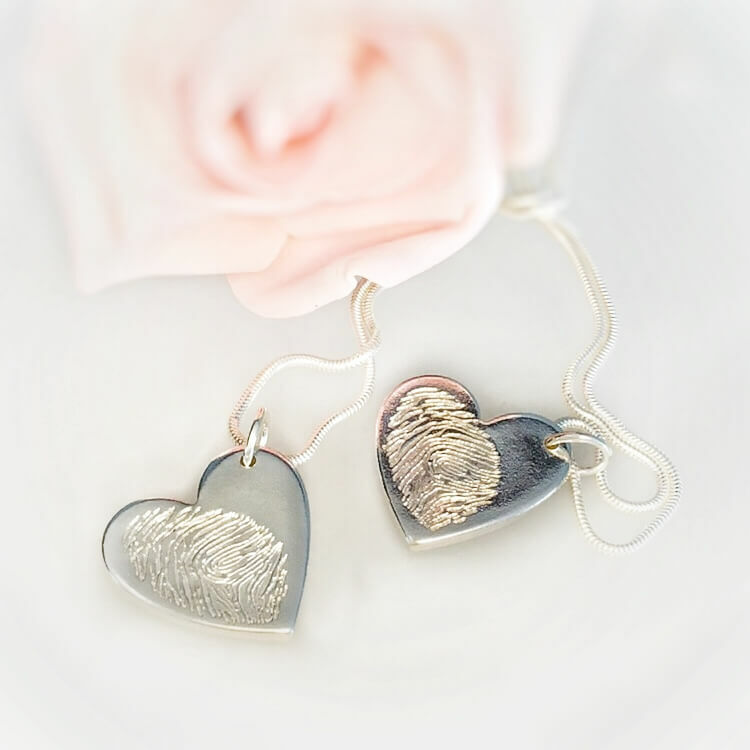 All charms are completed with a fully soldered jump ring made from sterling silver. Fingerprints are created by using an inkless wipe and sensitised paper. These take a detailed print of the finger. Your kit will contain all the instructions needed and are sent with your FREE FINGERPRINT KIT, or book an appointment with me and I can do it all for you.